Last night we attended ILEA's Creative Disruptors Awards in the Ministry of Sound, London. These kind of events are great to meet newbies in the industry and have a good old natter. We also saw some good friends there too, such as the fabulous Ice Box London who had put on a fantastic display around the venue; ice walls, volcanoes, skulls and more! 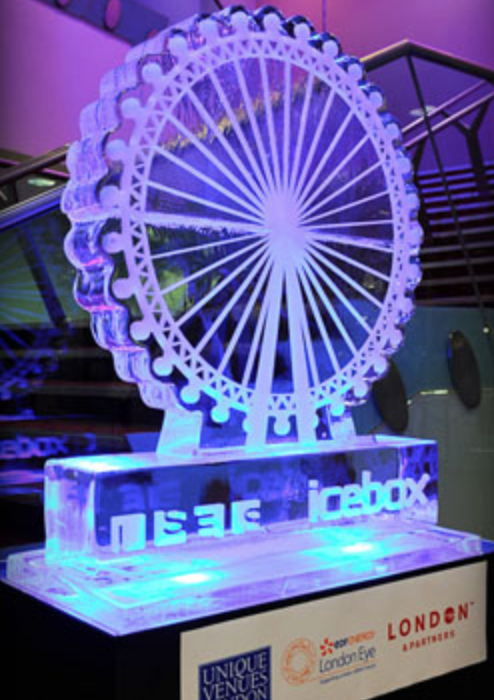 Ice Box don't just offer sculptures- they also hold team building events, campaigns, product launches, ice rinks, major installations and much much more. Their website is definitely worth a visit. We love your work Ice Box! Welcome to our Partridge page of love. Aaaahhhhh. If you want to see more of Ice Box's stamp on the CD Awards check it out here.